Check out product reviews. Review our money back guarantee. Call us to ask questions. You’ll understand why your data, time and money is worth dealing with #1. Respected Name...Superior Products....Great Value....Outstanding Toll Free Service. at a great value from a recognized company that stood behind them with toll free assistance. WorldPics is a web camera display with a searchable list of over 1000 web cameras worldwide. This application is exclusively for the iPad platform. The best news is, it is free! DB Freedom is an iPad app that frees your data from the office. It provides direct access to any database your PC has access to WITHOUT the need to synchronize the database with the mobile device. It provides real-time access to data and is not dependent on the storage size of your iPad. The #1 data recovery software! Recovers lost data, photos, files, music and more from CDs and DVDs. Now supports DVD recorder discs! More tools, more features and more capable than the competition. Flash Retriever recovers pictures, movies and other files from flash media. 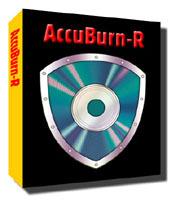 Accurately burns data to CD and DVD (all types). Recognized as a production tool for quality assurance. InfinaDyne software is provided under the terms of the Infinadyne software license.